Nissa, Vastwood Seer ($11.98) Price History from major stores - Magic Origins (Foil) - MTGPrice.com Values for Ebay, Amazon and hobby stores! 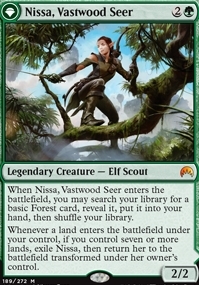 Card Text: When Nissa, Vastwood Seer enters the battlefield, you may search your library for a basic Forest card, reveal it, put it into your hand, then shuffle your library. 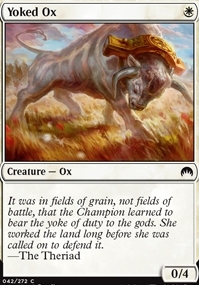 Whenever a land enters the battlefield under your control, if you control seven or more lands, exile Nissa, then return her to the battlefield transformed under her owner's control.